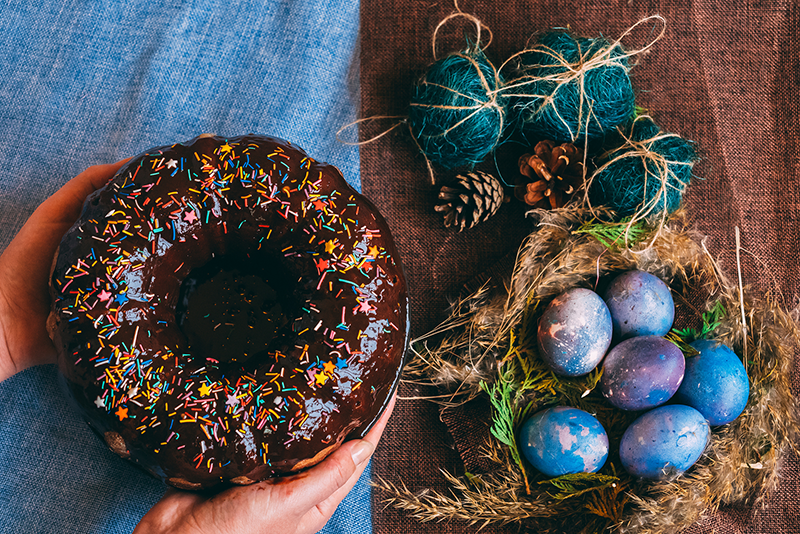 With Easter Sunday just a few short weeks away, falling this year on April 21st, now’s the perfect time to think about what delicious Easter-related treats you could serve up if you’ve got an event coming up and a lot of people to feed. Here are just a few ideas you could talk to your buffet food suppliers about. Of course, hot cross buns should always be on any Easter menu worth its salt but why don’t you add an extra element into the mix with some hot cross blondies? Put together by The Little Loaf, these delicacies feature seasonal spices, plump dried fruit and a nice little kick of citrus, sure to keep one and all happy. Fun fact: We eat the hot cross bun at the end of Easter because it uses dairy products that are forbidden during Lent. The cross on the bun represents the crucifixion of Jesus, while the spices used are meant to signify those used to embalm him at his burial. You can’t host an Easter feast without serving up roast lamb somewhere on the menu. Interestingly, eating roast lamb at this time of year has its roots in Passover observances well before the birth of Christianity. When Egypt was faced with horrendous plagues and death was rife, Jews would paint sacrificed lamb’s blood on their doors so God would pass over their homes and only punish the sinners. When some of them later converted to Christianity, this tradition was carried over. Check out this Jamie Oliver recipe for roast leg of lamb… delicious! Another traditional dinner table option at this time of year, simnel cake is usually served with eleven marzipan balls on the top to represent the 11 apostles – minus Judas, of course! It’s a very rich fruit cake with marzipan lumps stirred into the mixture to melt and combine with all the other flavours while cooking. Delia Smith has a lovely recipe for you to try. We’re big fans of this BBC Good Food recipe for an Easter chocolate truffle cake that might go over better than simnel cake if you have lots of little children running around clamouring for their next chocolate fix. The marzipan is left out entirely, although you could decorate the top of the cake with it if you really want to include it. Steamed pudding is always delicious and a serious crowd-pleaser, and this BBC Good Food recipe includes how to make nutmeg custard for a truly scrumptious topping that will have everyone talking nonstop. We’d love to hear what you plan to serve up for your next event so get in touch with us to tell us your Easter plans. And, as ever, if you need any catering help for an upcoming shindig, give us a call to see what we can do. Would You Serve Lab-Grown Meat?